Professor Ann Logan’s research interests centre on the role of cytokines and growth factors in the scarring and regeneration responses of the injured CNS. She is particularly interested in developing a strategy of gene therapy to promote functional repair and reconstruction of damaged neural pathways in the CNS. Her specific research focuses on the degeneration and repair of the damaged and diseased central nervous system. 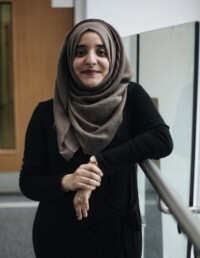 She also works on using cellular and molecular techniques to investigate the role of growth factors in the scarring and regeneration responses after brain and spinal cord injury. Prof Logan is working on developing a strategy of gene therapy to promote functional reconstruction of damaged neural pathways in the damaged CNS. 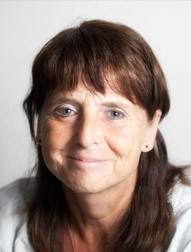 Professor Logan received her BSc from the University of London, UK in 1974 and PhD training in neuroendocrinology from the University of Birmingham, UK between 1975 and 1978. After post-doctoral training at the University of Leeds, UK and in the laboratories of Professor Roger Guillemin and Professor Andrew Baird at Scripps Hospital, La Jolla, CA, she established the Molecular Neuroscience Group at the University of Birmingham in 1990, where she is currently Professor of Molecular Neuroscience and Head of the Neuropharmacology & Neurobiology Section within the School of Clinical and Experimental Medicine.